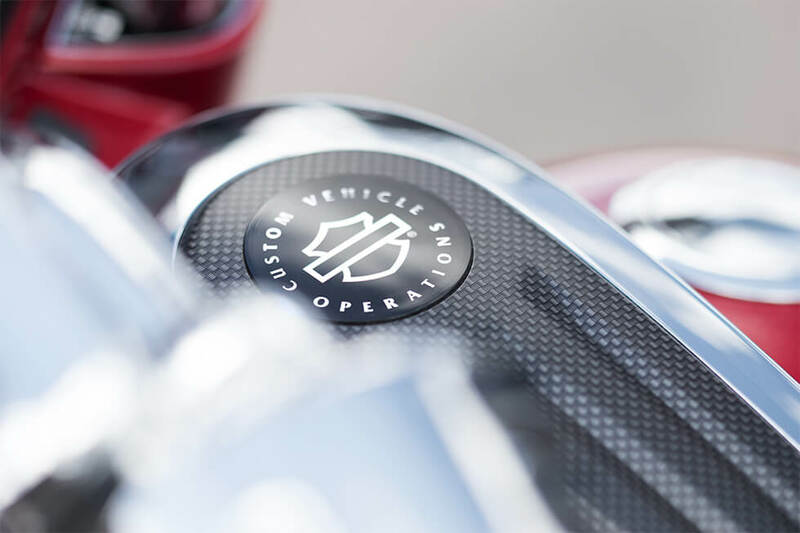 The CVO™ or Custom Vehicle Operations lineup represents the cream of the crop: these are fully customized, top-shelf models that upgrade almost every aspect of the base models. 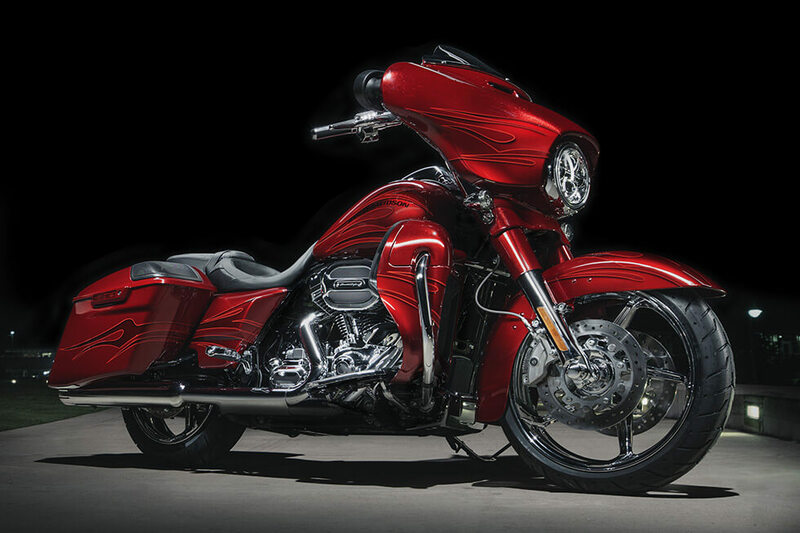 The CVO™ Street Glide® is no different. It’s simply loaded with premium features and eye-catching custom details. 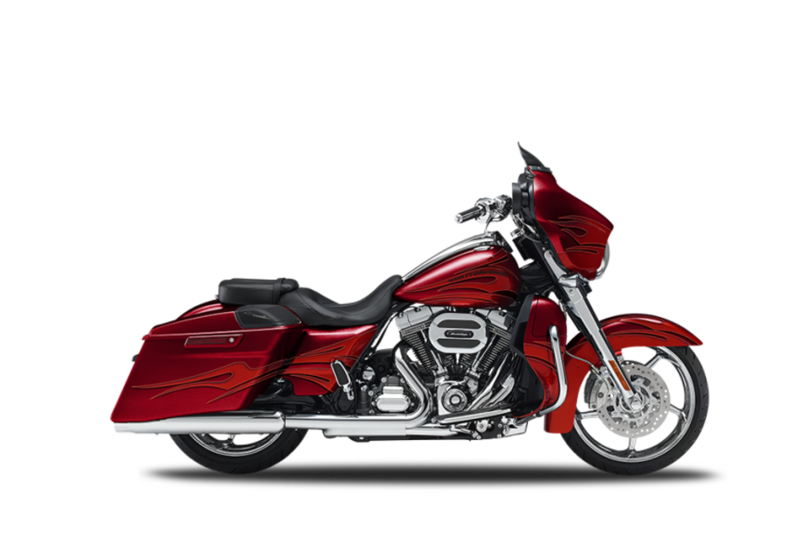 It also receives the all new Twin-Cooled™ Milwaukee-Eight™ 114 V-Twin, and that’s power you’ll appreciate while cruising through Aurora. 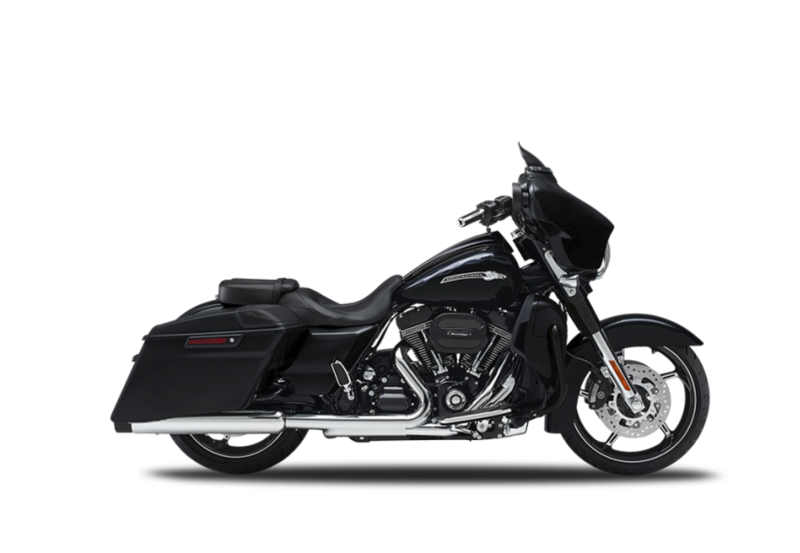 Find out more about the CVO™ Street Glide® here at Avalanche Harley-Davidson®, just a short drive from Lakewood. This bike is designed to devour mile after mile of asphalt and mountain curve. It’s a dream to ride, whether you’re heading around the block or around the country. All-New Milwaukee-Eight™ 114 Engine: This new power plant delivers unbeatable power with improved cooling and vibration damping. Twin cooling helps this engine provide peak performance in any condition and at any temperature. 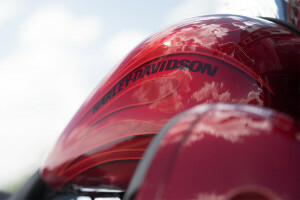 This is the next generation of the Harley-Davidson® V-Twin, and we know you’ll love it. Milwaukee-Eight™ 114 Overview: The new Milwaukee-Eight™ provides more displacement for more power, and quicker accelerations. It also provides superior heat management, which helps keep you comfortable and improves performance. Vibration and ride quality are optimized using a counter balance. A richer exhaust not gives you that satisfying V-Twin rumble, and more charging output for accessories helps you keep your accessories fully powered. Brembo® Brakes: Brembo® makes the best brakes in the business, and here you’ve got a powerful set of dual front rotor brakes and 4-piston front and rear brakes to deliver the performance you expect. Dunlop® Multi-Tread™ Tires: The Dunlop® Multi-Tread™ tires have a sticky compound on the sides for added cornering traction and a hard-wearing rubber in the middle, providing durability through those long miles. Electronic Sequential Port Fuel Injection: Electronic Sequential Port Fuel Injection with heated O2 sensors make sure that you’re always getting maximum performance and efficiency out of the new Milwaukee-Eight™. Premium Touring Shocks: This bike gets premium single tube nitrogen charged emulsion shocks to provide the ultimate in handling and comfort. Fairing Mounted Instruments: Your gauges are right in your line of sight as you ride. Gauges include speedo, trip meter, fuel range, engine diagnostics, cruise control, ABS, gear indicator, and more. Slip & Assist Clutch: It’s easy to slip through the gears, because the hydraulic slip and assist clutch takes less force to use. It’s simple, but it reduces your hand fatigue in stop and go riding. Ventilator Elite Air Cleaner: Centered in the classic lines of the Twin-Cooled™ Milwaukee-Eight™ 114, this big bold Air Cleaner Cover with Screamin’ Eagle® 114 insert, lets everyone know exactly what you’re riding. New LED Bullet Turn Signals: LED turn signals in a beautiful chrome bullet casing are classic, modern, and super bright, so everyone on the road will take notice. Ergonomically Designed Hand Controls: With hand controls designed around your needs, the Street Glide® makes sure you can ride just as long as you want to. 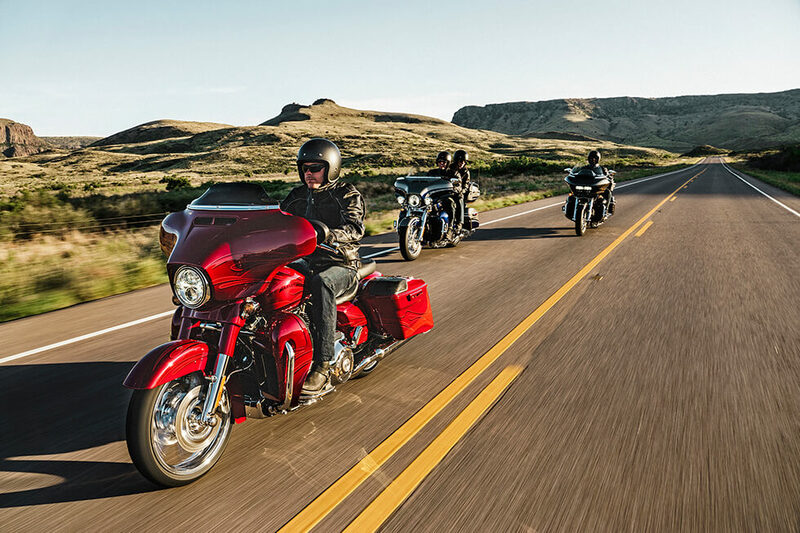 Reflex™ Linked Brakes with ABS: Wheel lockup is a thing of the past, thanks to the sophisticated anti-lock brake system that’s standard on the CVO™ Street Glide. 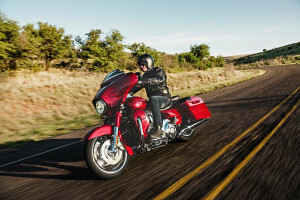 Six Speed Cruise Drive: You’ve got six gears to take advantage of the wide powerband of the Milwaukee-Eight™, and the tall top gear lets you enjoy quiet, smooth highway cruising. Steering Head and Front Forks: With larger diameter legs, the front fork is stiffer and stronger to provide more confidence for riders. It’s also tuned to provide better damping for superior comfort. 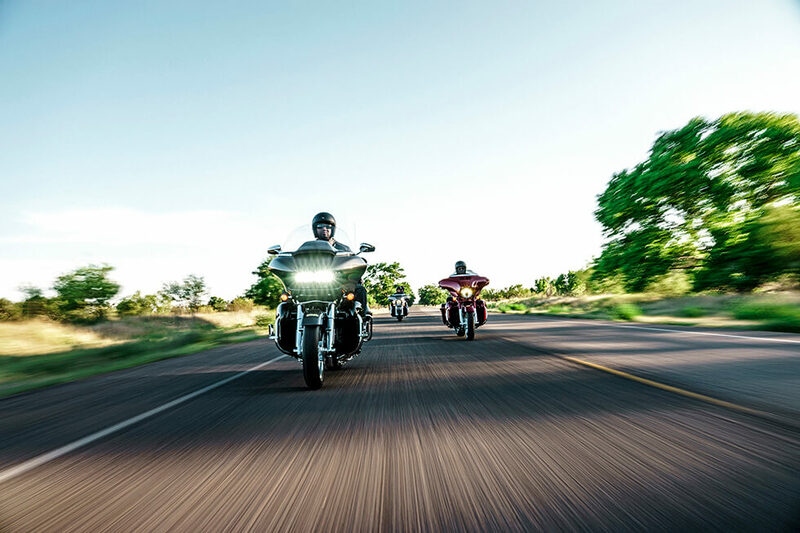 The CVO Street Glide® is equipped with some of the latest high tech infotainment features to keep you connected and on the right track when you’re far from home. Tire Pressure Monitoring: This brand new feature will let you know when your tires are under-inflated or over-inflated, so you can fine tune them easily without digging out your tire pressure monitor. Voice Recognition and Bluetooth: What better way to take advantage of all the infotainment features than with voice commands. You can easily sync your phone and even make phone calls or text messages. 6.5-inch Boom!™ Stage II 3-Way Speakers: You’ve got more volume and clarity with these big front speakers. 6.5-inch Color Touchscreen: Up front you’ve got a big touchscreen display that puts you in command of all the infotainment features offered. 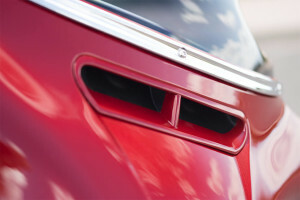 Custom Tuned Static and Dynamic Equalizer: The audio system is designed to reduce static and provide crystal clear sound even when you’re out there on the highway. Dedicated 300 Watt Front Amplifier: With 300 watts headed to the speakers, you know you’ve got all the volume you’ll ever need. Jukebox with USB Port: Plug in your smartphone to let it recharge, and even play your own tunes through the connection for the perfect soundtrack. 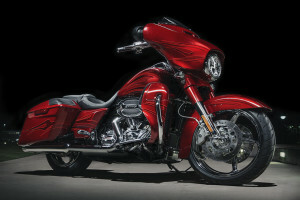 The CVO Street Glide® is a super premium bike, and it is always going to feel special. One Touch Fuel Door: Access the fuel door with a single touch. It’s simple because it’s supposed to be. 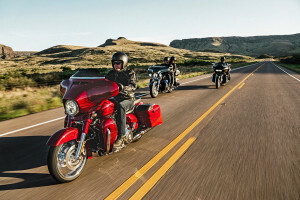 Two-Up Seating: The sculpted two-up seat on the CVO™ Touring is the ultimate in touring comfort, with its low height, sculpted shape, narrow neck, and deep contoured bucket. Wide Set Handlebar: With the CVO Street Glide® you can enjoy the perfect posture. Spread your arms out, grab the grips, and feel the stress melt away. This ergonomic design is meant to let you stay in the saddle all day long. 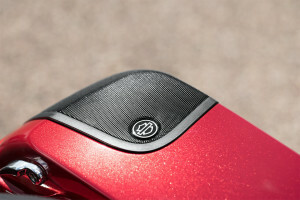 Extended Saddlebags with 5”x7” Boom!™ Speakers: You’ve got more speakers in the saddlebags, and that’s not all. The saddlebags also include smart liners, so it’s easy to move your gear from the bike to the bed. High Output Accessory Connector: Hook up some heated grips, a heated seat, a heated vest, or any other kind of accessory. Airflow Collection: You’ve got a full complement of custom Airflow Collection touches, including height adjustable foot boards, air deflectors, a splitstream vent, and more. 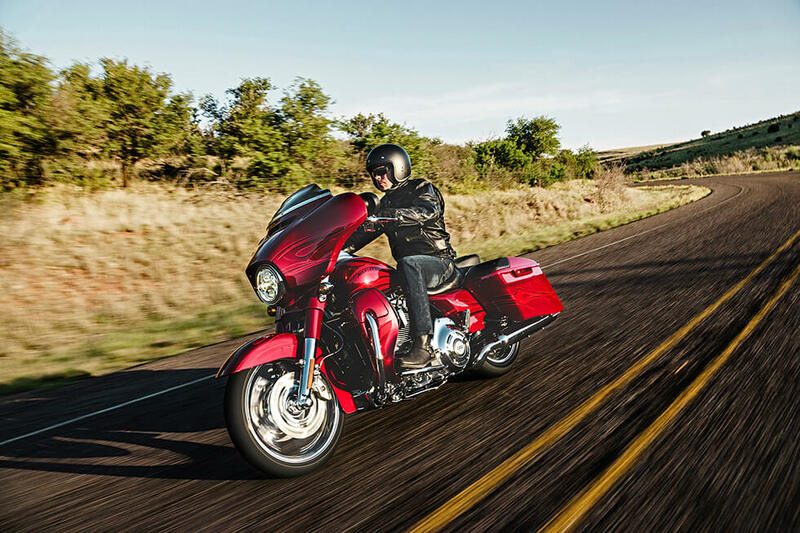 One-Touch Design Philosophy: In the CVO Street Glide®, everything needs only a single touch. The saddlebag lid and the fuel filler door are both easy to open with gloves on. It’s a small perk that’ll make your life easier. Keyless Ignition Fob with Integrated Security: All you need to do is get on the bike and go, thanks to the innovative keyless ignition system that includes a security system. Color Matched Slipstream Vent: There are plenty of touches that make the CVO™ Street Glide special, and the color matched slipstream vent is one of the many ways we customize the bike for you. The CVO Street Glide® is fully loaded with custom features that make it distinct from the standard Street Glide®. Chrome Tank Console: On top of the fuel tank you’ll find this unique chrome console with custom inserts. 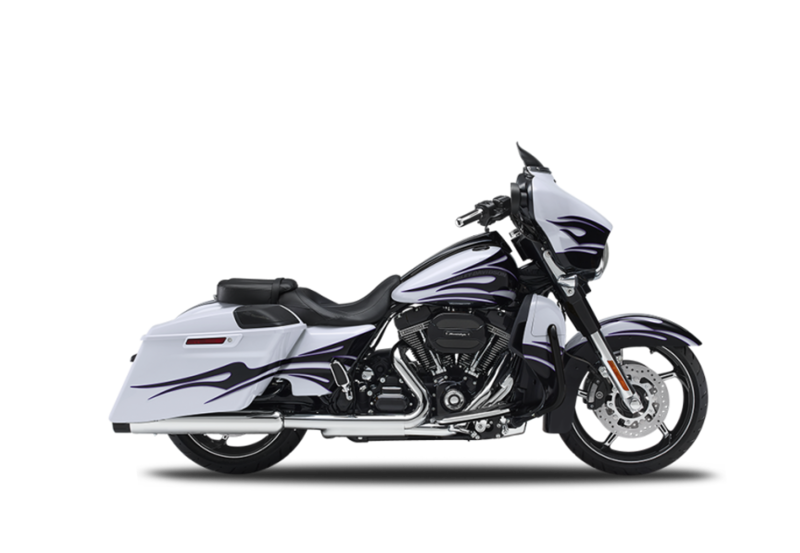 Color Matched Components: The CVO™ Street Glide gets a full complement of color matched components, including the fork and slider covers, the fairing skirt and more. Gloss Black Inner Fairing: The inside of the fairing is covered in a premium glass black so you can focus on the gauges and infotainment system. LED Brake and Turn Signals: The LED lighting out back is sleek yet super bright, so it makes for a minimal profile at the rear of the motorcycle. Derby Cover and Insert Design: The custom style of the new derby cover and insert offer a bit more leg room for the rider and an even more unique style. 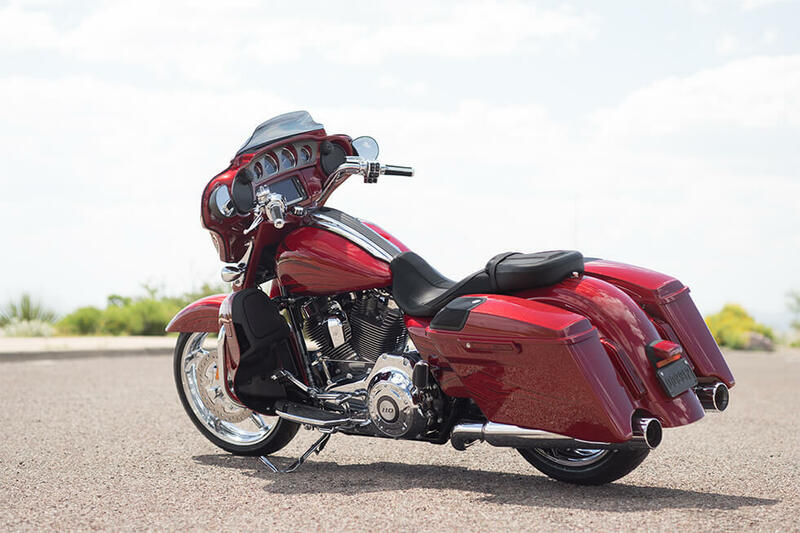 Custom Low Profile Two Piece Seat: The seat on the CVO™ Street Glide is stylishly designed and custom stitched to provide comfort and confidence on the road and craftsmanship like nowhere else. High Impact Paint and Graphics: The hand applied finish and paint is eye catching and stylish, and it’s available in a variety of colors to meet your needs. Engine Style: The all-new Milwaukee-Eight™ 114 is easy to spot with its brilliant machined cooling fin tips, racing scoop style air cleaner, and Screamin’ Eagle badging.